We are determined to make your journey through orthodontic treatment FUN! 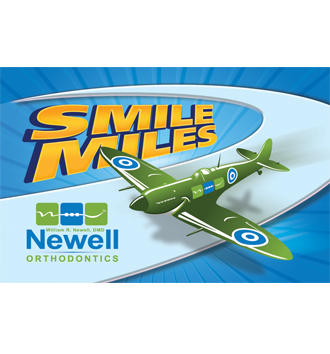 To help motivate and encourage you, we have many different ways you can earn Smile Miles points that can be exchanged for a variety of great prizes and rewards. Click here to check your points balance or redeem your points. Download our Dental Cleaning Certificate and have your dentist or hygienist complete it at your next appointment to earn 10 Smile Miles! Not yet ready for orthodontic treatment? Join our Observation Deck Recall Club!